This workout is all about building lean muscle through pressure and pushing you to fatigue in each and every track. Saturday sets a positive tone in the Warmup as you move through the range of motions that prepare you for the rest of the class. Squats create a Beautiful Monster in three stages, using Singles to drive the heart beat up and then twisting the knife with some strong Bottom Halves. You’ll instantly recognize the guitar intro and by the end of Track 3, your chest will be screaming at you, so focus on great technique through the pain. Four Clean & Presses in a row throw down the “cardio kicker” challenge to the back, while very quick transitions give the Triceps no respite in Track 5. Likewise, the introduction of Bicep Rows mean you don’t get a chance to relax … there’ll be no raising of the glass afterwards! Track 7 will set off the fireworks in your legs with an overpowering sequence of Squats – Lunges – Squats – Lunges – Squats – Lunges – (gulp!) more Lunges. You’ll be a little shaky on your feet, but next stop is Africa for a three-pronged attack on your shoulders – Deltoid Raises, Side Raises and Overhead Presses. But Please Don’t Go just yet … what about your abs? We’ve got some Side Oblique Crunches, Crunches with a Pulse and Hover, forward and back. By the time you stretch and leave, the past hour will seem like Just A Dream … except your body will be telling you otherwise. 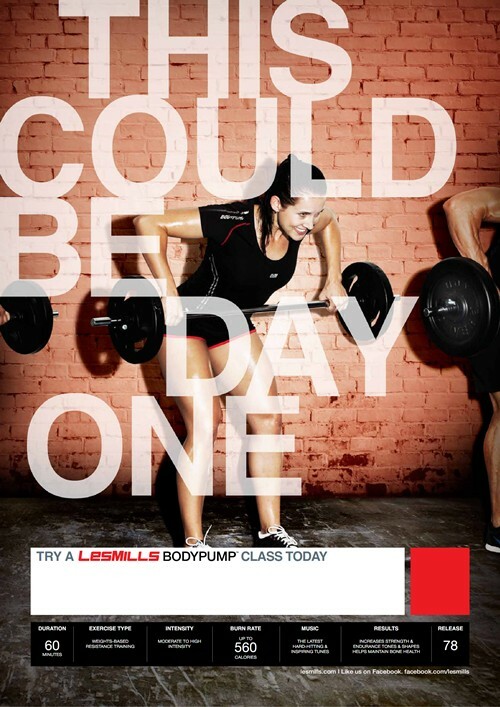 22 Responses to "BODYPUMP 78 sizzler"
loooove to hear updates gets me pumped ofr the next releases wooohoooo…. good work!! Am I correctly interpreting that Raise Your Glass is the bicep song? What’s the difference between a deltoid raise and a side raise? Jennifer: there’s also a bonus track for biceps in this release. Eve to be honest I’ve not yet seen this release (missed the filming) but I’m picking the deltoid raise is another name for a front raise where the plate is lifted directly put in front of your body. But yes you’re right typically a deltoid raise is another name for a side raise. I find it interesting that the sizzler video shows glen teaching this release… this is the one that he’s not on because of his ankle/foot right? Benny – Metro station? No that’s not in pump 78! Could you please share with us the tracklist ?! If Pink bugs you, consider that there’s no Pitbull. Glen: front raise is what I thought too – or feared, because we’re already smashing our front delts with all the pressing in BP – but the sizzlers have been known to contain typos so maybe they meant something else. Is the shoulder track the E-Type song? Eve: Hehehe, actually, Pitbul was kinda fun track, enjoyed it a lot… in the beginning :)) better that the Usher track in 77th release! Iveri: Pitbull’s alright. Wanna bet “On The Floor” is going to be in a future release? Iveri: the tracklist has been online on a Finnish forum since early April. I guess teh google has something against Finland, because they sure don’t show up on a search! Or I’m doing it wrong. It’s one of those. Mind giving us a hint how to find this Finnish forum?